from frequent invitations to Keynote and contribute to journals, articles and books, and interviews with radio stations and newspapers, we’ve been happy to share our work all over the world. Check out some of our press coverage and interviews below. VideoGame website Game Skinny writes about us! Game Skinny, a website home to the latest news in the games industry, blogs and reviews, is one of our faves here at RTG as a go-to place for us to check out the latest titles. 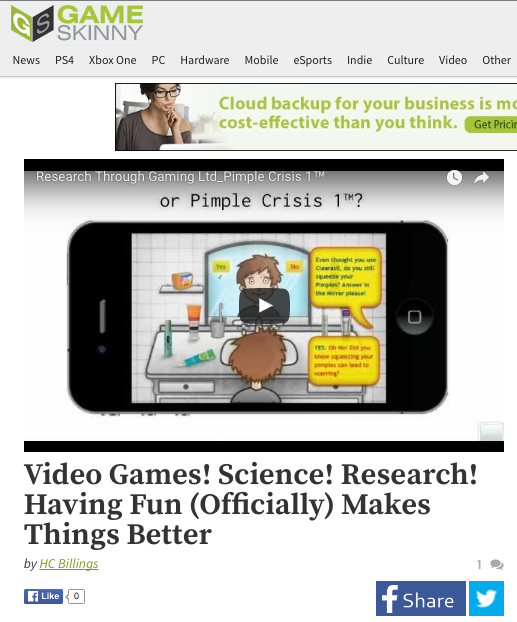 It’s a site written by players, for players, and saw a $2m investment to expand it’s already-popular website. Imagine our excitement then when we found that we were the subject of one of their articles! Thank you GameSkinny for the fabulous review! We were interviewed by EMAWW – the popular ‘Emotions Matter’ podcast, about how our ResearchGames evoke context-based emotion for research insight. This was one of the more personal interviews given by our founder, Betty Adamou, who shares insight about how she started RTG, and the importance of creating a place of sanctuary in our lives. 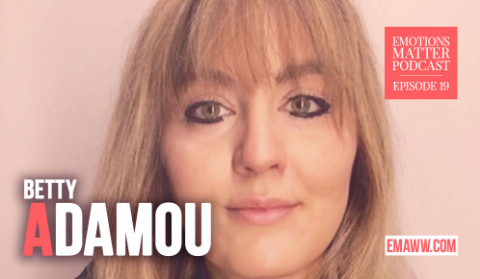 In sharing the podcast, our interviewer Monique wrote “For all the creatives and entrepreneurs on LinkedIn, have a listen to my latest EMOTIONS MATTER PODCAST interview with Betty Adamou, who is a driven, passionate, and highly creative innovator for helping businesses reach out to their clients by way of videogame research. Above all else Be Inspired!”. We thank Monique for her kind words, great questions, and a big thanks to the EMAWW podcast team! 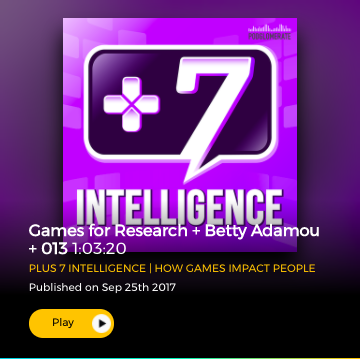 In early 2017, our Founder and Chief ResearchGame designer, Betty Adamou, got an email about interviewing her for a new podcast called +7 Intelligence – How Games Impact People. Such an important subject got us really excited! We carried out the interview earlier this year with the podcast host and founder, Ches Hall, and we’re pleased to announce it’s now released! Listen in to hear us talk about the benefits of games and gamification in research, how we go about designing our work, and how ResearchGames can help business avoid costly mistakes. 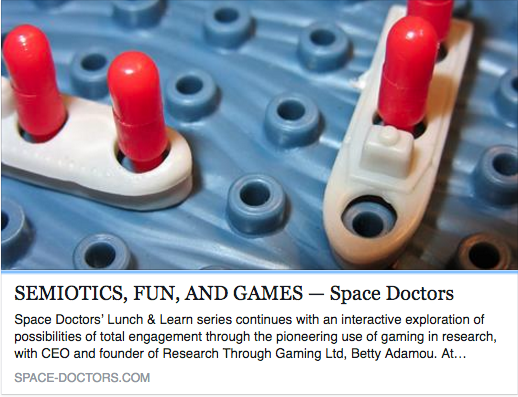 Innovative MR agency Space Doctors has written up a review of our CEO & Founder, Betty Adamou, and her recent Lunch & Learn visit at their Brighton office, where she taught their talented team all about Games for Research. What they had to say was lovely, and we thank them for their kind feedback: “Beyond the joy of listening to someone profoundly knowledgeable talk about something that they are admirably passionate about, Betty’s work highlights the potential for ever greater engagement and enjoyment through research.” Read more of what Space Doctors took from our Lunch & Learn Session by reading the whole blog. Research Through Gaming’s Lunch & Learn sessions are available face-to-face or over web-conferencing. Just get in touch with us to set a date and find out more. Our CEO & Founder Betty Adamou was interviewed by radio host Paul Kirsch for B.O.S.S. Academy Radio (BOSS stands forBusiness Ownership Success Strategies) based in the USA. Paul found out about Betty and our work here at RTG through her interview earlier on in the year with Bob Lederer. Paul was extremely complimentary about RTG and our pioneering work in developing games for research, and in an in-depth interview with Betty, asked her how she got started, who we’ve worked with, and what we do, and why it works. 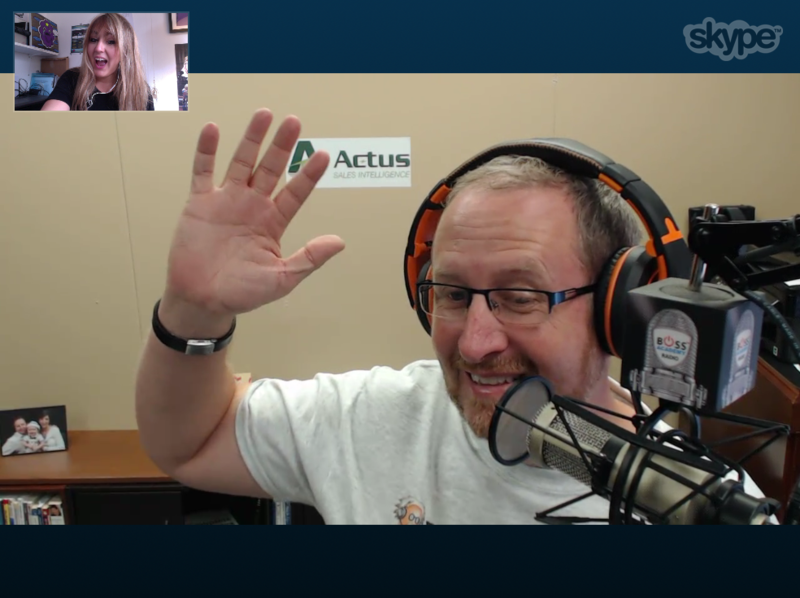 We thoroughly enjoyed being interviewed by Paul and thank him for all his interesting questions! 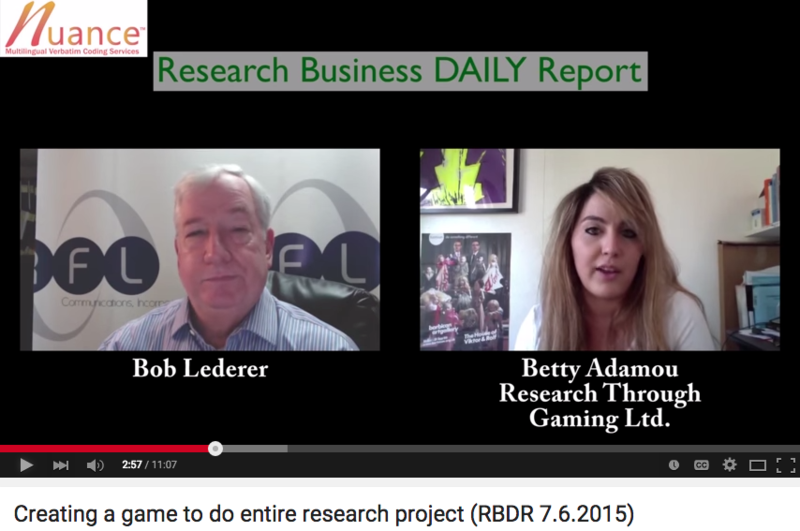 In August 2015, Bob Lederer, Director of RFL Communications, which has been commentating and reporting on the Market Research industry for 20+ years, interviewed our CEO & Founder, Betty Adamou. In this interview, Bob asks all the ‘FAQs’ we’re often asked by clients, and dare we say, ‘fans’ who are interested in our concept of ResearchGames. Bob also waxes lyrical about RTG on and off the record, saying that we’re one of the most innovative methodologies/technologies he’s seen in years. We thank Bob for giving us the opportunity to share our work! 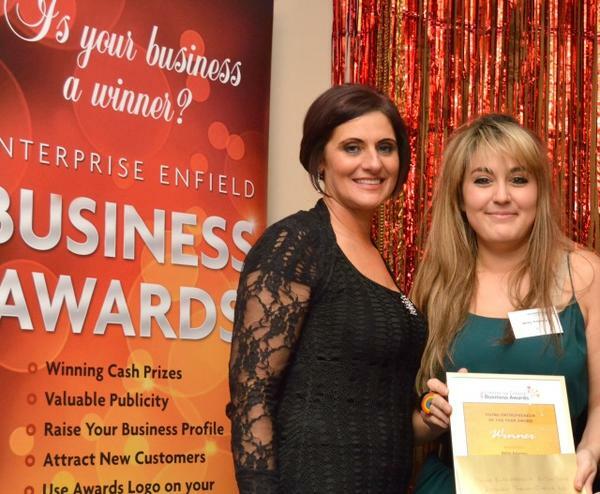 On Fri 18th September, our CEO & Founder, Betty Adamou, will be hosting a workshop in her local area of Enfield, in North London, to give her fellow Female Entrepreneurs a 10 step guide into building a personal and business brand in order to increase visibility and sales. 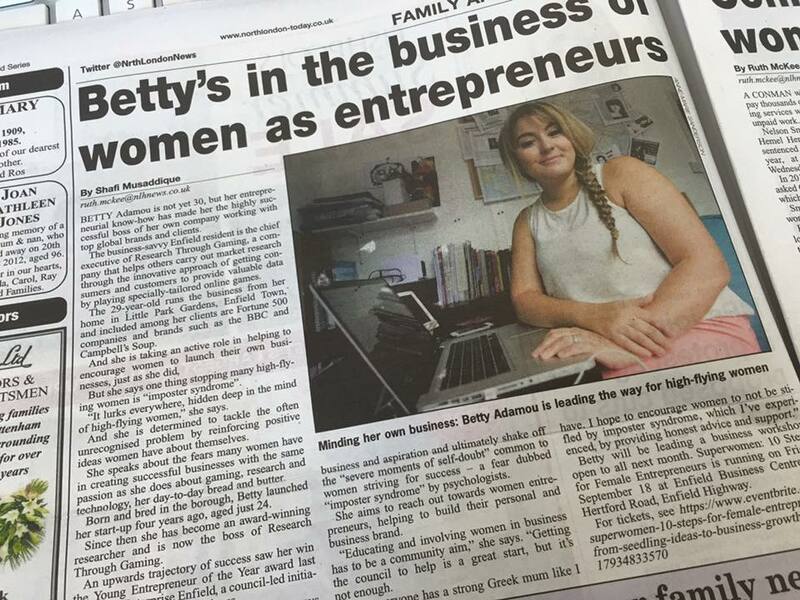 One of the Enfield local newspapers was so intrigued by the workshop that they decided to interview Betty over the phone and asked her where her motivation for the workshop came from, role models in her own life, and taught the journalist, Shafi, all about the Imposter Syndrome. 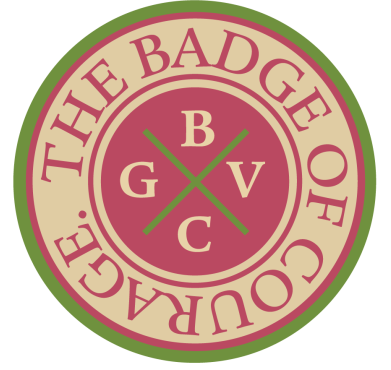 If you’re interested in attending Betty’s workshop, sign up and come along! Check out the Eventbrite website to book your tickets here. 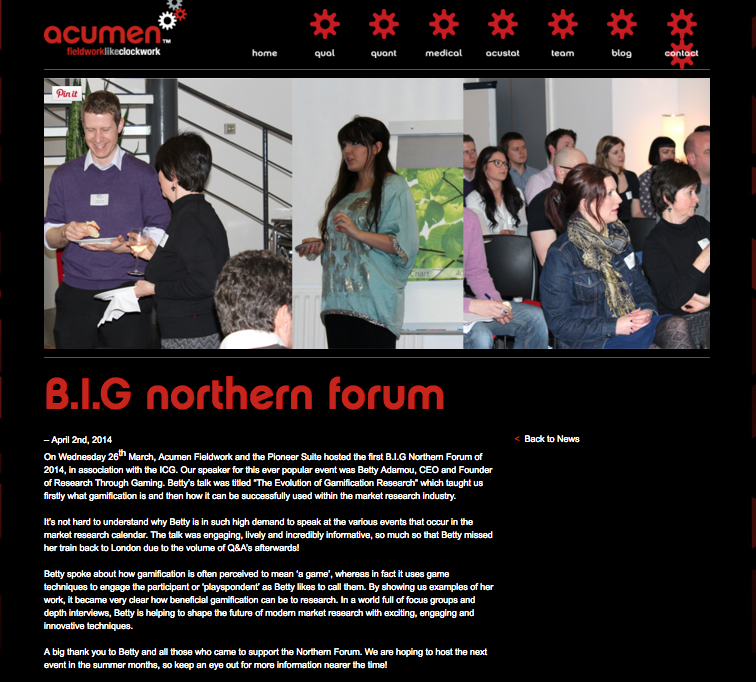 Our CEO & Founder, Betty Adamou, was kindly invited to speak at the Acumen supported B.I.G. Northern Forum in Manchester, where they noted that it was ‘their biggest crowd, ever’. 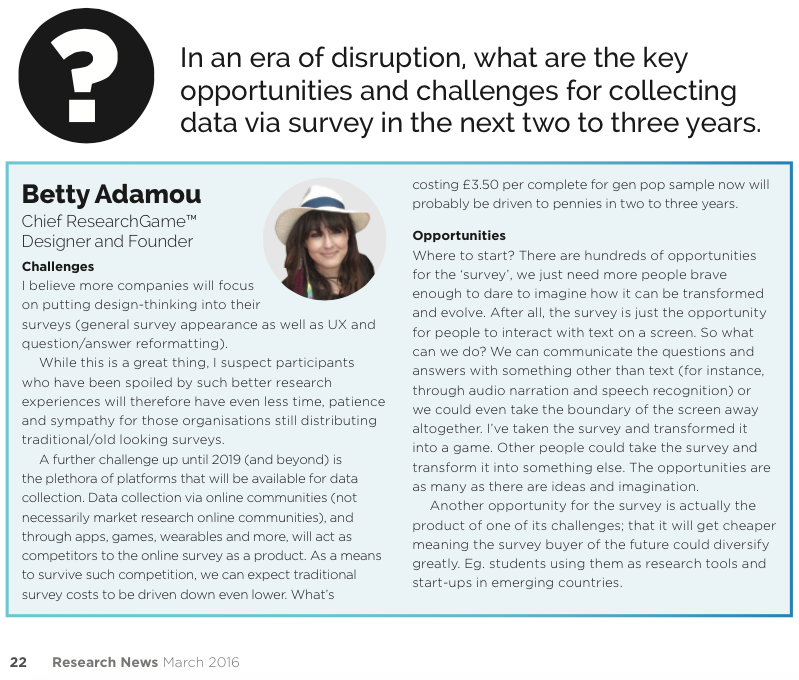 Adamou shared our work in Game Based Research and our ResearchGame™ case-studies. 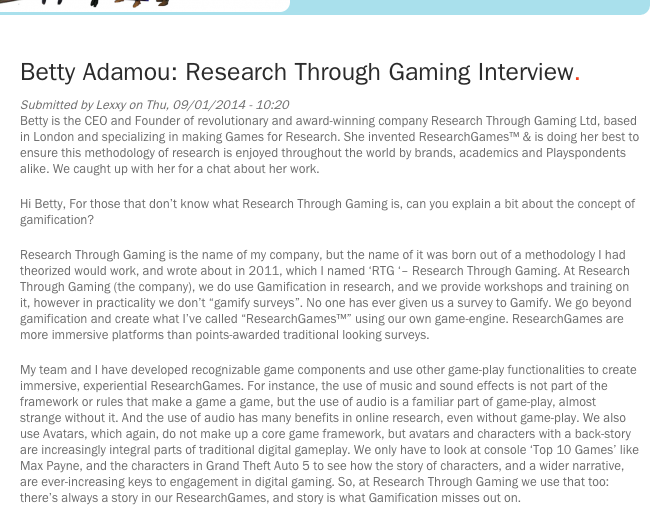 She also established the differences between Games & Gamification for research in this well-reviewed talk. If you’re interested in your own guest lecture, Lunch & Learn session or something else so you and your team can learn about game-based research methods, just get in touch. 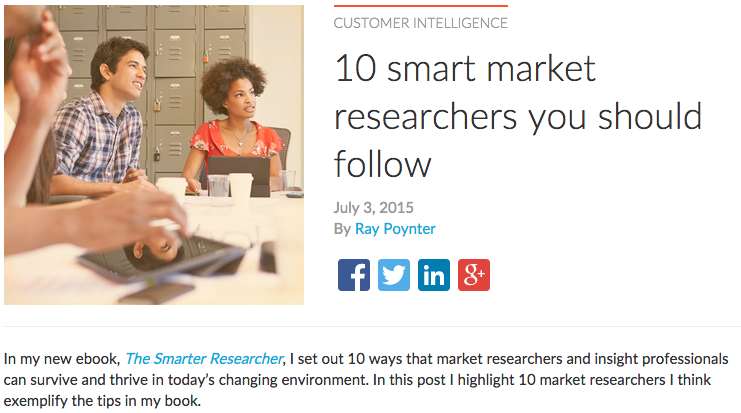 Ray Poynter, of The Future Place, NewMR and Vision Critical University writes about 10 ways that market researchers and insight professionals can survive and thrive in today’s changing environment in his new ebook, The Smarter Researcher. In his post on the Vision Critical Blog, he set out to highlight 10 market researchers he felt exemplified the tips in his book. As well as Betty Adamou, Lenny Murphy of GreenBook, Fiona Blades of MESH Experience, Jeffrey Henning of Researchscape International and Sue York (co-founder of NewMR) as well as others. We thank Ray for his recognition and we also feel Ray himself should be added to the list! 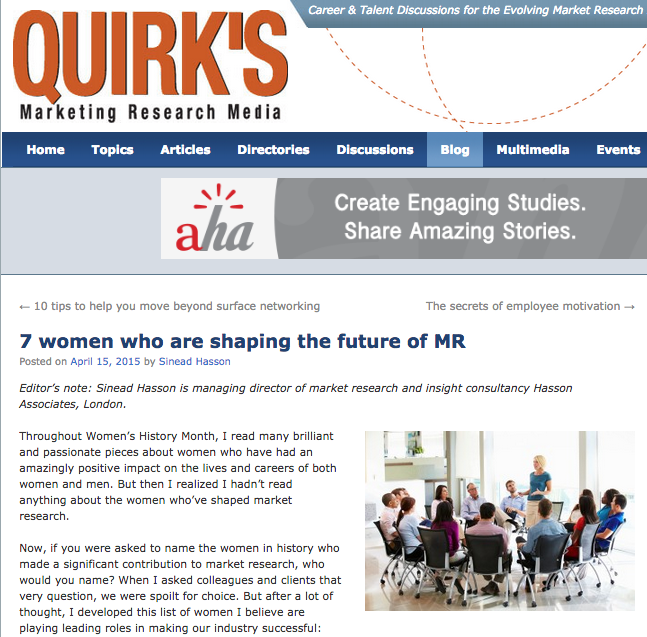 In early 2015, seven women who are shaping the future of Market Research were named on Quirks. Female market research heavyweights and thought-leaders such as Elizabeth Nelson (founder of Taylor Nelson – now TNS), Jane Frost (CEO of MRS) and Kristin Luck of (President of Decipher), graced this list, as did our very own CEO and Founder, Betty Adamou. We’re absolutely overjoyed that our tireless work making and campaigning for the use of Games for Research has been recognised in this way, and we congratulate our fellow women and men who are also shaping the future of how we conduct market research. 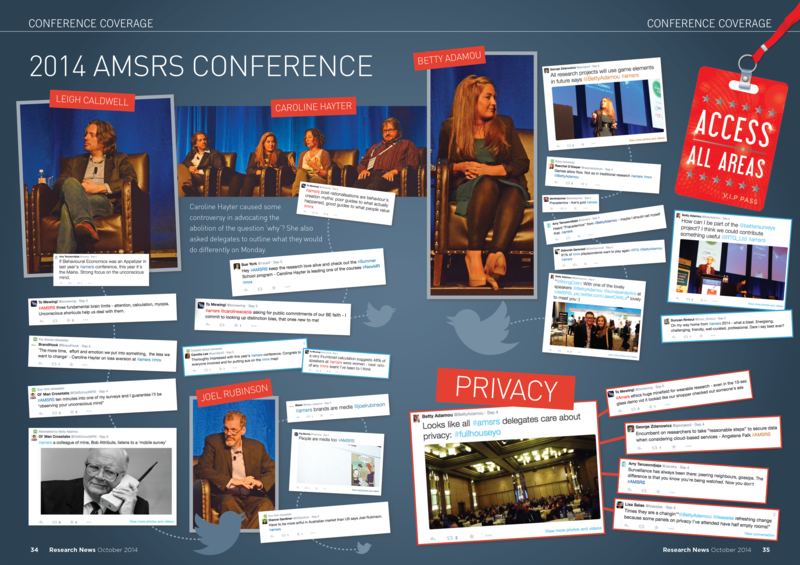 The AMSRS kindly invited our CEO & Founder, Betty Adamou, to provide a Keynote Address providing insight into how our ResearchGames work, with insights drawn from a recent academic case study. Her projection that ‘all research will use games in the future’ was controversial and exciting for the audience, whom for many, were hearing about ResearchGames for the very first time. Adamou was then invited to be part of a panel discussion on where Market Research will be in the next 2-3 years, and the challenges to overcome. 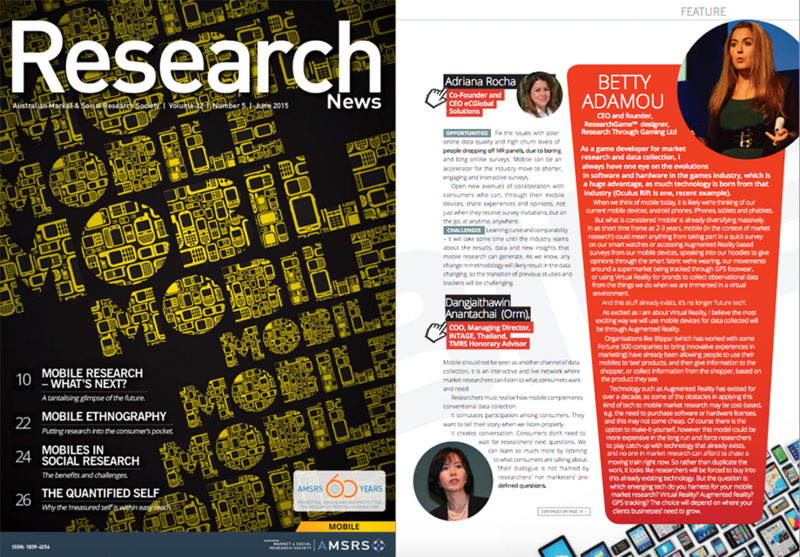 Sue York, co-author of the Handbook of Mobile Research was guest editor in June 2015 for the Research News magazine Mobile Market Research feature. 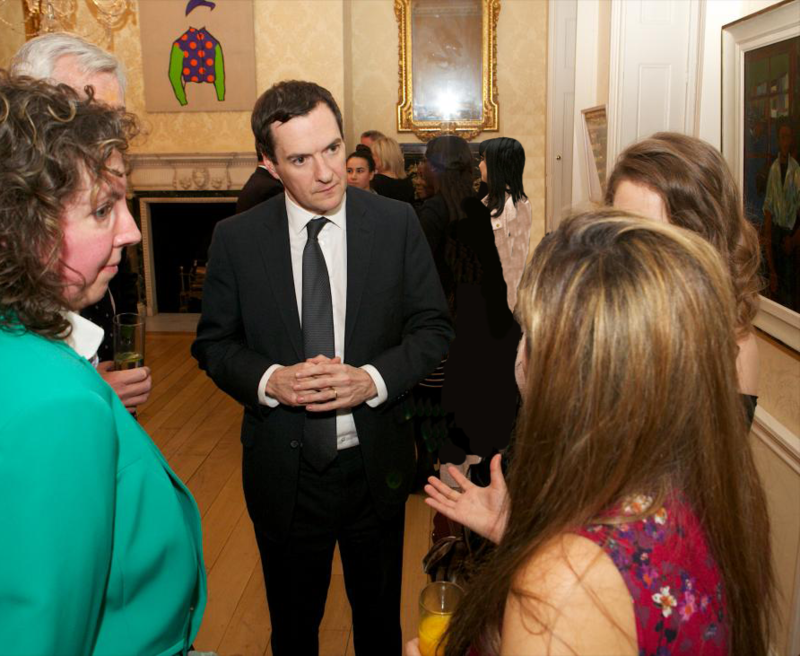 As part of Westminster’s Creative Industries Event, Betty Adamou was invited by local Enfield MP Nick De Bois to attend their event and speak to George Osborne, Chancellor of the Exchequer to discuss her work in innovating Market Research through Games, as well as meet other fantastic entrepreneurs from various industries. 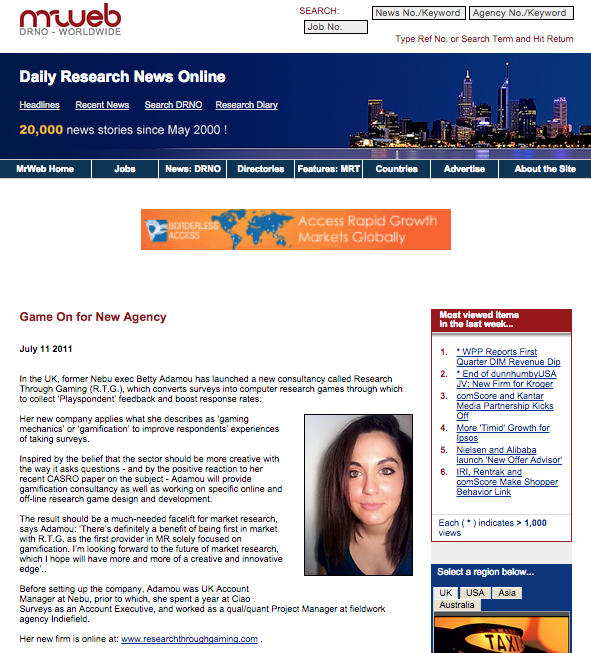 In 2014, our CEO and Founder was invited to be interviewed about how she got started in the Market Research industry, her innovative use of games for research, and what she thinks is next for research and technology combined. 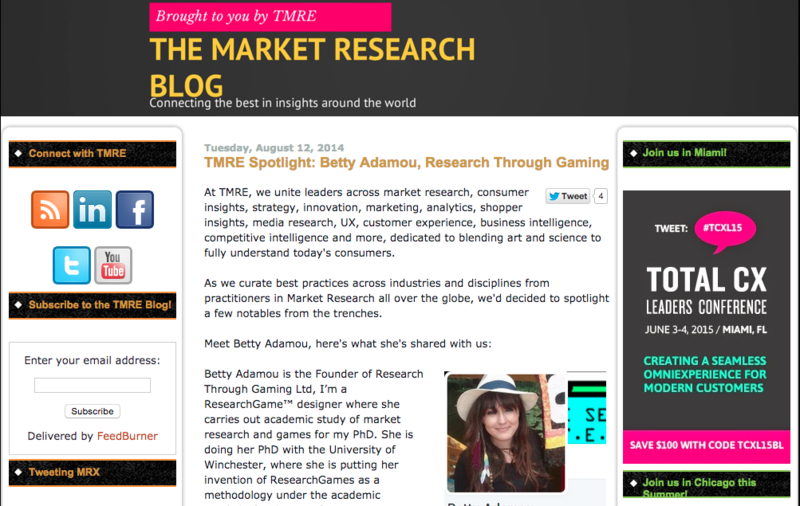 Carrot Pharma interviewed Betty Adamou, our CEO & Founder, for a 2nd time in January 2014 on her thoughts about how Gamification has evolved for the market research industry and where Gamification has a place in the Healthcare and Pharma space. You can read the full interview here. 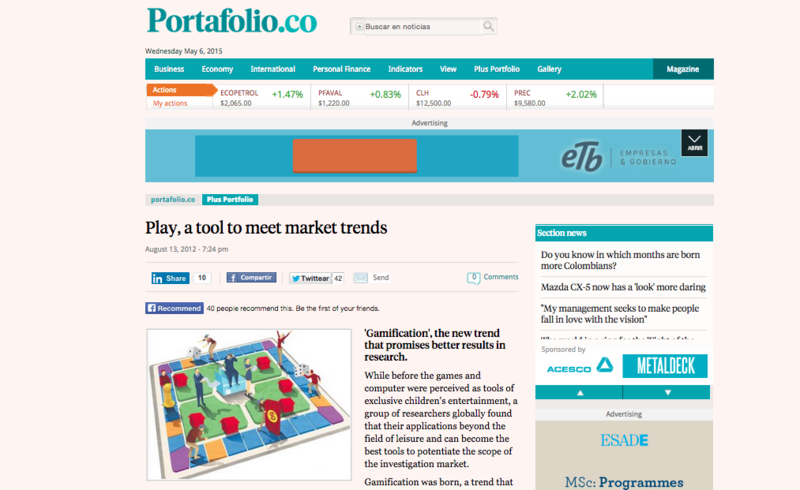 Colombian economics newspaper “Portafolio” interviewed Betty Adamou on how she see’s that games and gamification can be used in market research, and even be used to predict trends using observational methods in game simulations. 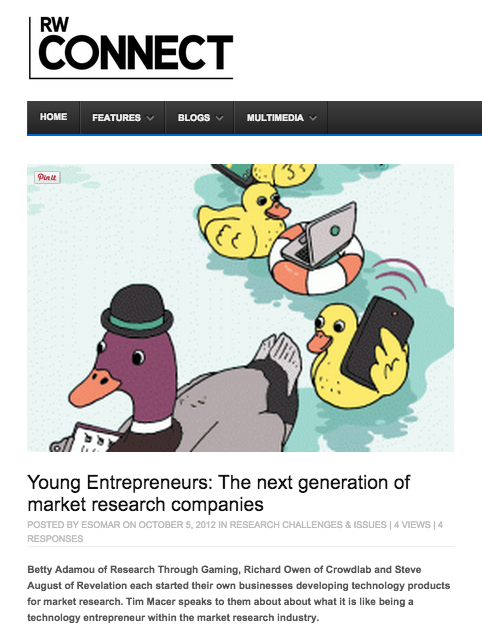 Our CEO and Founder Betty Adamou was invited to be interviewed by Tim Macer of Meaning (UK) for RWConnect magazine, to find out more from her and three other young technology entrepreneurs of 2012 about how they got started, and where they see the future of the industry. Other interviewees included Steve August of Revelation and Richard Owen of CrowdLab. At the 38th Annual CASRO Conference in Los Angeles, our CEO and Founder Betty Adamou was nominated by Annie Pettit of Conversition for the title “Researcher of the Future”. The CASRO conference committee then chose the top 4 nominees to attend their panel talk on Friday 10th October in Los Angeles, all gaining the title “Researcher of the Future”. Mr Web tells the world Research Through Gaming has opened! Ah, memories! Here we were, bright eyed and bushy tailed four years ago now, when we first started Research Through Gaming from our bedroom in North London. How time flies! 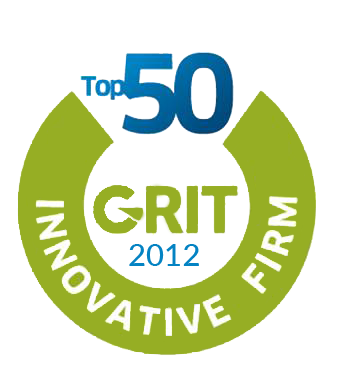 Research Through Gaming in GRIT Top 50 Most Innovative Firms, Again! Research Through Gaming in GRIT Top 50 Most Innovative Firms, at just 7 months old! 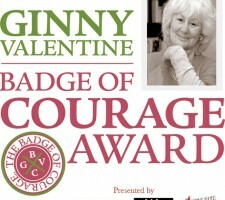 In 2013, we received an amazing nomination to win the Ginny Valentine Badge of Courage Award (for the second year in a row!) 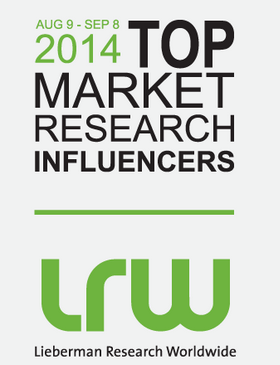 for Pioneering the use of Gamification in market research. With the launch of our YouTube video showcasing our first ever ResearchGame, the reaction in the industry was astounding. 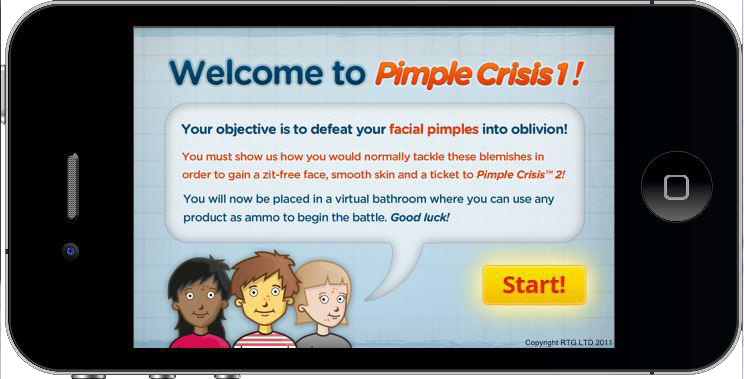 Observation Baltimore used the ResearchGames, titled “Pimple Crisis” to write about how Research Through Gaming are using Games and Gamification in Market Research.